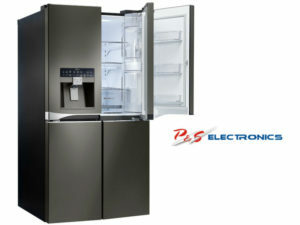 LG’s new four door refrigerator with Door-in-Door™ not only offers consumers the innovative double-layered door system, it also optimises food storage options with a unique adjustable shelving system. With the Slim In-door Ice Maker and 3 full-width shelves, you get more usable storage space. 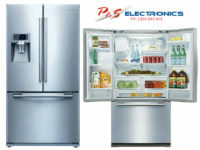 LG’s innovative Slim Indoor Ice Maker is built in the fridge door, creating more usable space. Special-tempered glass shelves are stronger, more durable and less prone to cracking and breaking than regular glass and can withstand heavy loads so that you can safely store away your heavy items with confidence. Separate sections help to minimise the mingling of odours. And LG’s Smart Storage System also helps to keep you organised. More Storage Options! A space where you can organise small items such as eggs, snacks and cheese. Depending on your needs, you can adjust the shelf height to customise your Door-in-Door space. With LG Smart Diagnosis the Refrigerator can “talk for itself” using either s Smartphone app or by calling the LG Customer Information Centre to find a solutions that may save time and money on unnecessary callouts.